Congratulate those few talented individuals who strive for perfection - always conscientious, always earnest, always making a concerted effort. The designers artistically combined an aluminum arc base, with matte finish, and a highly polished monolith of genuine black marble that is decoratively deep-carved and color-filled with silver enamel. 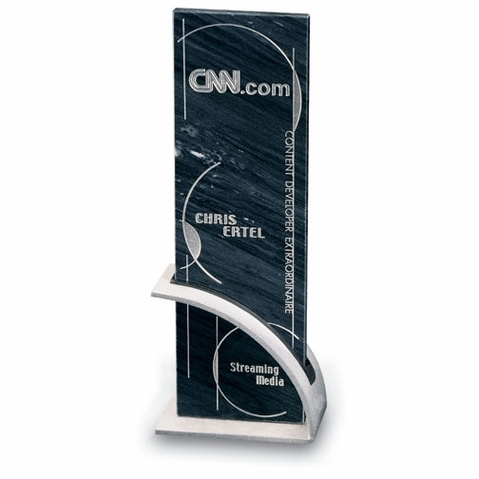 Genuine Black Marble & Aluminum Arc base.